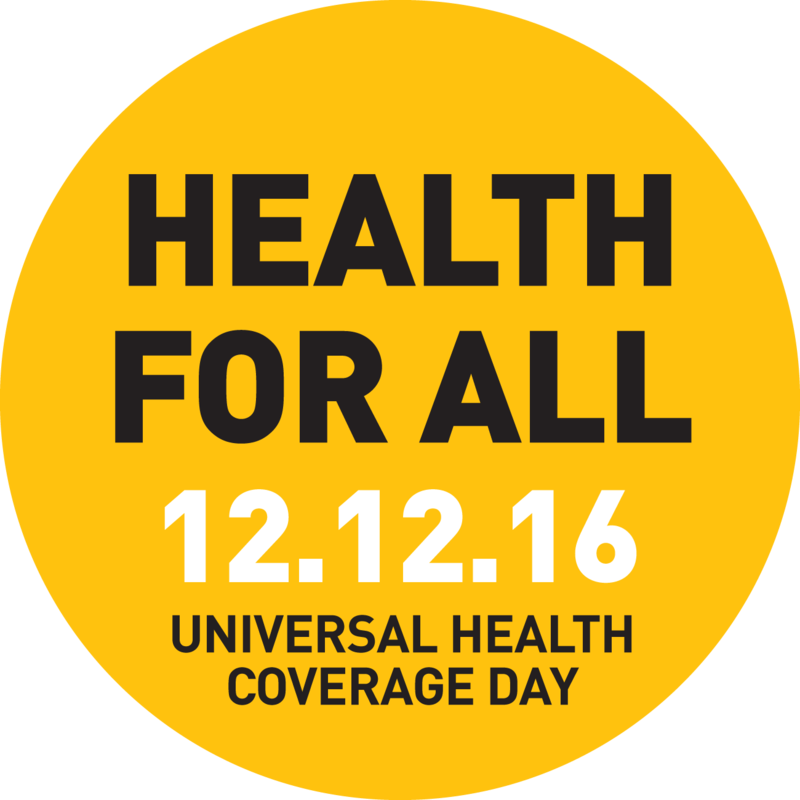 Universal Health Coverage Day, commemorated each 12 December, is the anniversary of the first unanimous United Nations resolution calling for countries to provide affordable, quality health care to every person, everywhere. Universal health coverage has been included in the new Sustainable Development Goals adopted by the United Nations. Universal Health Coverage (UHC) means everyone can access the quality health services they need without financial hardship.WHO: All people, including the poorest and most vulnerable.WHAT: Full range of essential health services, including prevention, treatment, hospital care and pain control.HOW: Costs shared among entire population through pre- payment and risk-pooling, rather than shouldered by the sick. Access should be based on need and unrelated to ability to pay. UHC means that all individuals and communities receive the health services they need without suffering financial hardship. It includes the full spectrum of essential, quality health services, from health promotion to prevention, treatment, rehabilitation, and palliative care. UHC enables everyone to access the services that address the most important causes of disease and death, and ensures that the quality of those services is good enough to improve the health of the people who receive them. Protecting people from the financial consequences of paying for health services out of their own pockets reduces the risk that people will be pushed into poverty because unexpected illness requires them to use up their life savings, sell assets, or borrow – destroying their futures and often those of their children. Achieving UHC is one of the targets the nations of the world set when adopting the Sustainable Development Goals in 2015. Countries that progress towards UHC will make progress towards the other health-related targets, and towards the other goals. Good health allows children to learn and adults to earn, helps people escape from poverty, and provides the basis for long-term economic development. health-seeking behaviour for child illness. health security: compliance with the International Health Regulations. UHC provides access to quality essential health services; safe, effective, and affordable essential medicines and vaccines; and protection from financial risk. At least 400 million people globally lack access to one or more essential health services. Every year 100 million people are pushed into poverty and 150 million people suffer financial catastrophe because of out-of-pocket expenditure on health services. On average, about 32% of each country’s health expenditure comes from out-of-pocket payments. Ensuring equitable access requires a transformation in how health services are funded, managed, and delivered so that services are centred around the needs of people and communities. More than 18 million additional health workers will be needed by 2030 to meet the health workforce requirements of the Sustainable Development Goals and UHC targets, with gaps concentrated in low- and lower-middle-income countries. Globally, two thirds (38 million) of 56 million deaths each year are still not registered.